Spaces are only for use by students doing university-related work. They are not to be used for external purposes such as tutoring or other business activities. 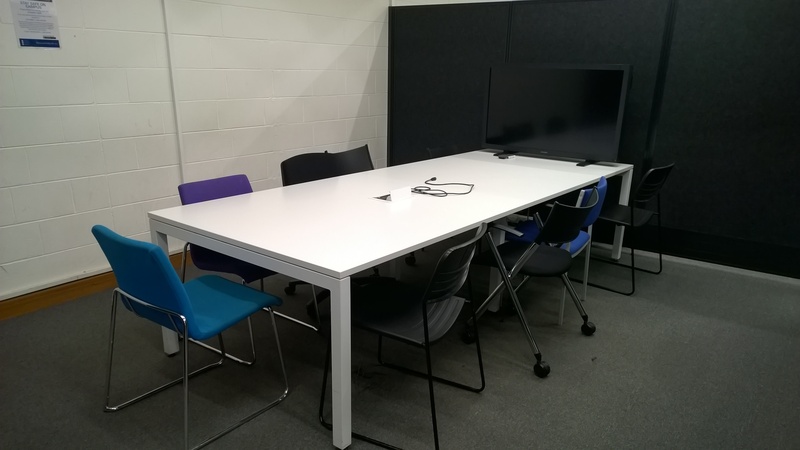 Please keep all furniture in the project/discussion rooms, and do not move furniture from other library spaces into the project rooms. Ensure you keep the spaces clean and orderly, and follow the Library policies on food and drink. If you are more than 10 minutes late, Library or Student IT staff may cancel your booking to allow others to use the space. Project Rooms: There are 10 rooms on the ground floor, which are available for small group project work. Rooms 1-3 each accommodate up to 5 people, Rooms 4-9 up to 8 people, and Room 10 up to 10 people. 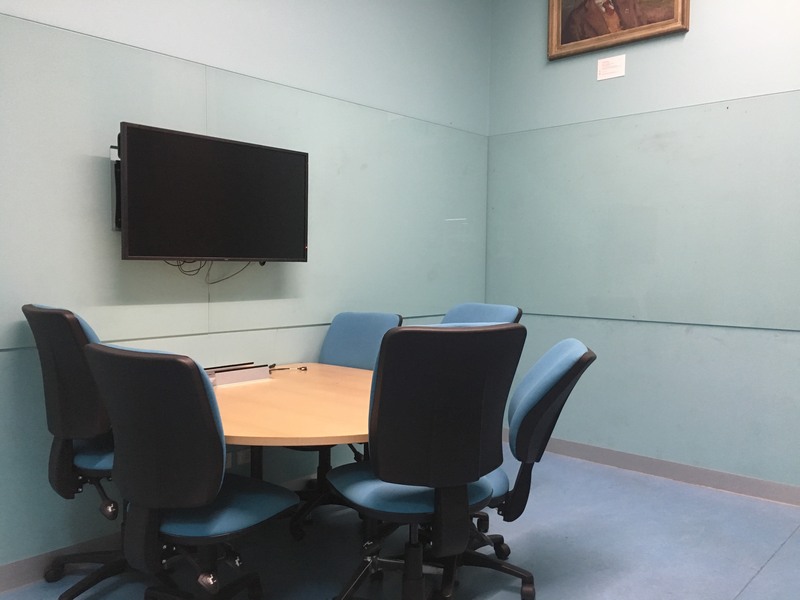 Rooms 1 and 5-10 each have an LCD screen (bring your own laptop); all rooms include whiteboards. They are available for all staff and students for a period of up to 2 hours at a time. 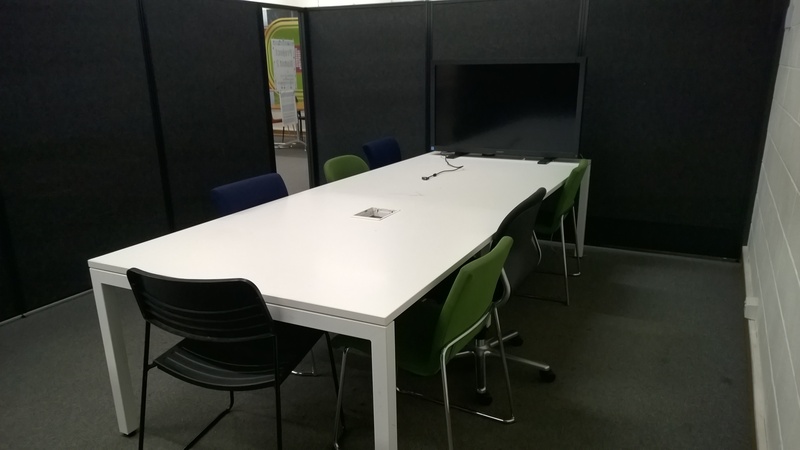 Study booths: We have 11 booths available for small group project work. All (except Booth 4) have LCD screens (bring your own laptop) and can accommodate up to 4 people. They are available for all staff and students for a period of 1-2 hours at a time. Booths 1-3 are situated near the circular staircase; Booths 4-11 are towards the north end of the ground floor. 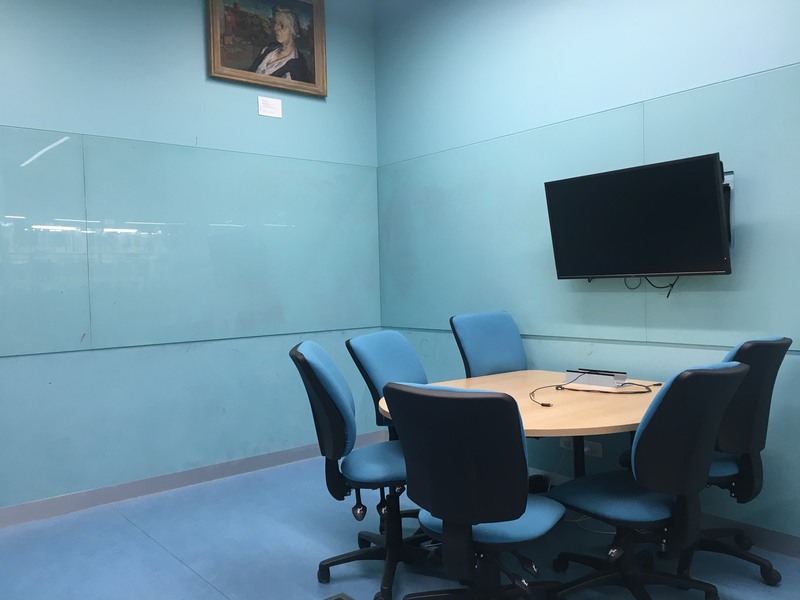 Study rooms for graduates: These are smaller rooms on the ground and second floors which are suited to private, individual study. You must be a graduate student to use of these rooms. They can be booked for a period of up to 1-2 hours at a time. Ask at the service desk for further information. 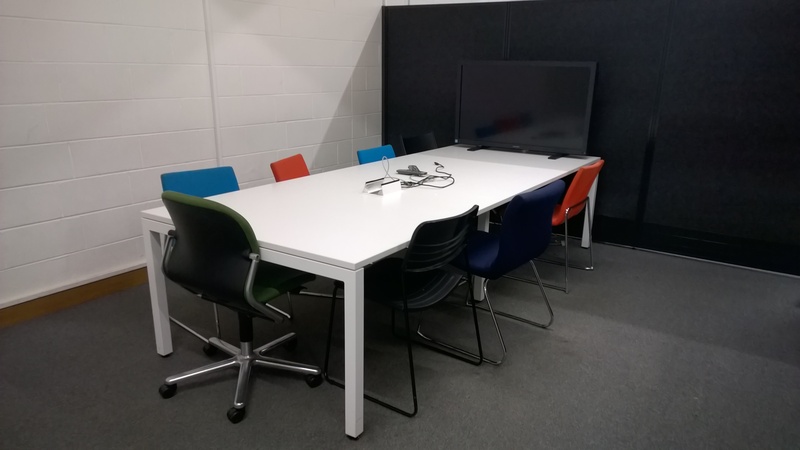 Project Rooms: There are 5 rooms on Level 1 of ERC for small group project work, each accommodating up to eight people. These rooms contain LCD screens (bring your own laptop). There are also 2 rooms on Level 5, which can accommodate up to 5 people each. They are available for all staff and students for a up to 2 hours at a time. 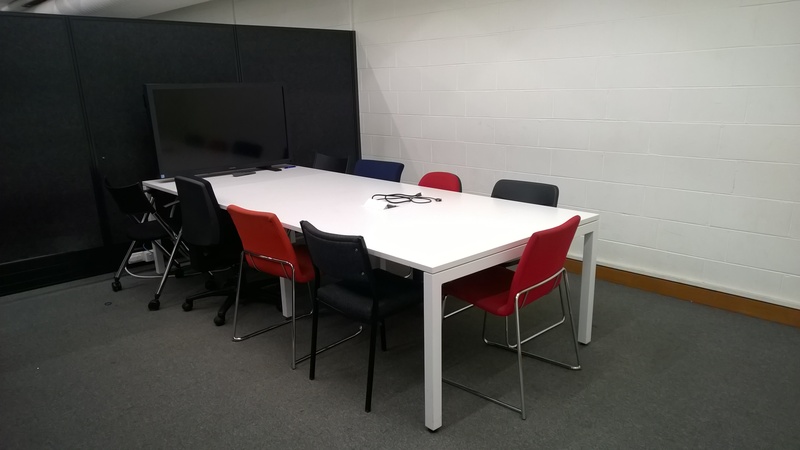 Project Rooms: There are 15 project rooms available for small group project work, each accommodating up to 6 people. These are numbered Rooms 1-6 and 8-16 and bookings can be made from Monday to Sunday. Project Room 7 is reserved for staff use Monday-Friday but students are welcome to use the room Saturday-Sunday if vacant. They can be booked for up to 2 hours at a time. 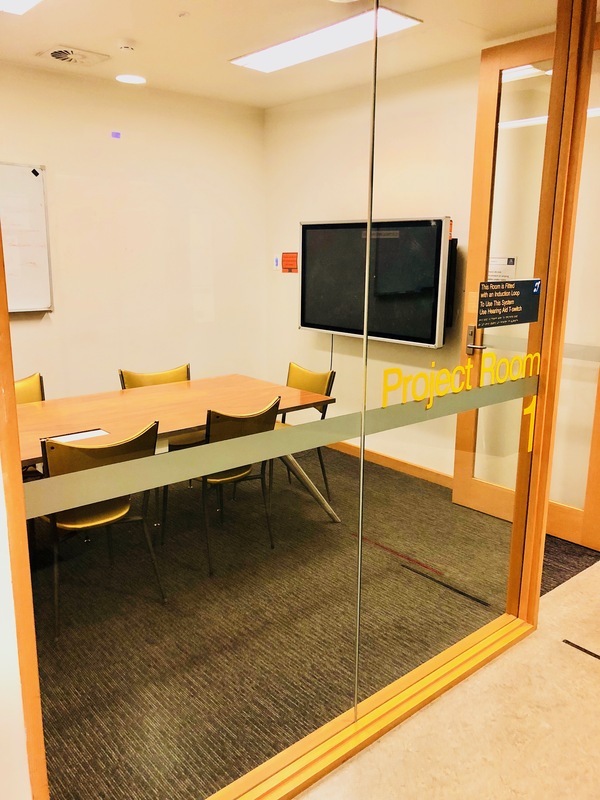 Project Rooms: There are 2 rooms in the after hours area and 3 rooms on the first floor, which are available for small group project work. They are available for all staff and students for a period of up to 2 hours at a time. Media booths: We have 4 booths available for media playback. All booths have a DVD player and CD player. Booth 1 has a cassette tape player, and a record player. Booth 4 has an Xbox 360. 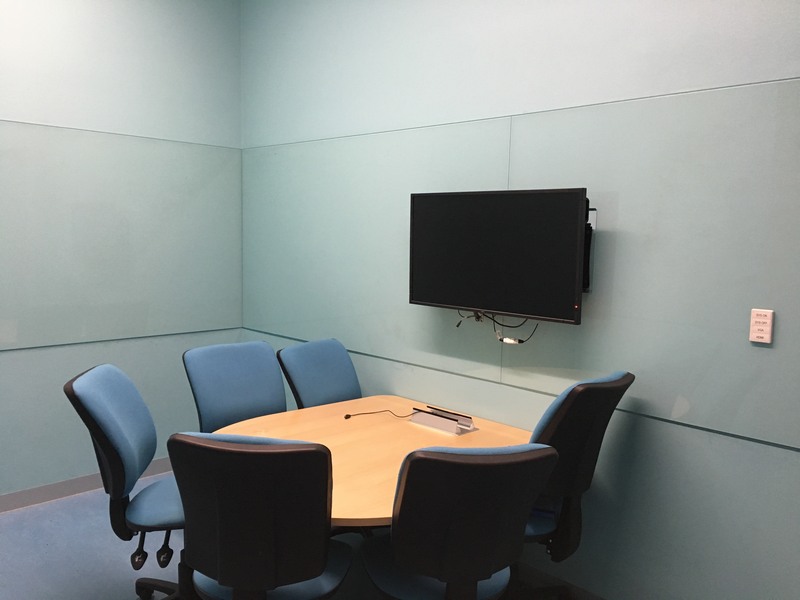 Project Rooms: There are 4 rooms for small group project work, which can accommodate up to 5 people per room. All rooms have whiteboards, and an LCD screen (bring your own laptop). They are available for all staff and students for a period of 1-2 hours at a time. 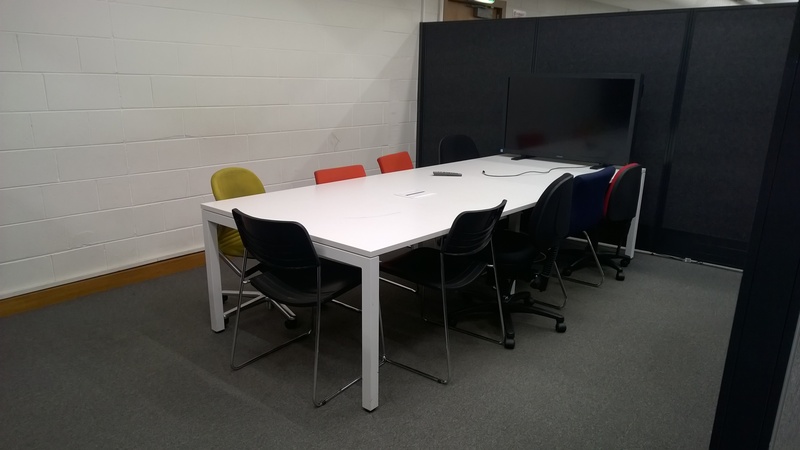 Project Rooms: There are 4 rooms available for small group project work, each accommodating up to 6 people. They are available for all staff and students for a period of 2 hours at a time. All rooms contain LCD screens (bring your own laptop) and whiteboards. 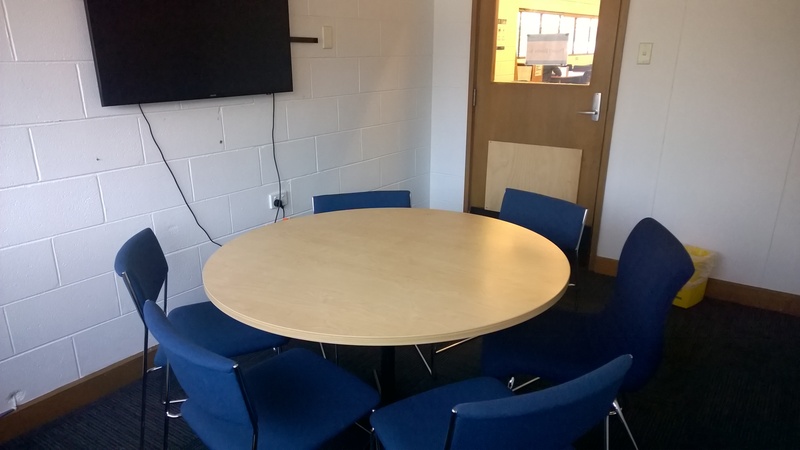 Discussion Rooms: There are 20 discussion rooms available for group project work, each accommodating up to 4 - 6 people. No keys are required for Level 3 and 5. Level 4 discussion rooms are for Law students only and the keys for the discussion rooms can be collected from the Information desk. 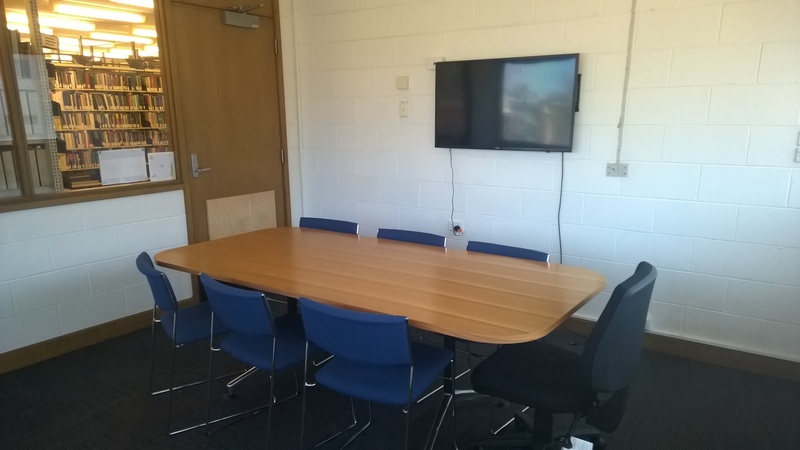 All discussion rooms can be booked for up to 3 hours at a time. Standing Desks: We have 2 standing desks available for students to use. They are located on level 3 in the Law Library and are bookable via BookIT for 2 hours at a time. *Room 302 is reserved for staff use from 9am - 5pm, Monday – Friday but students can book and use the room after 5pm.